Collaborate with your friends to plan the best meals. 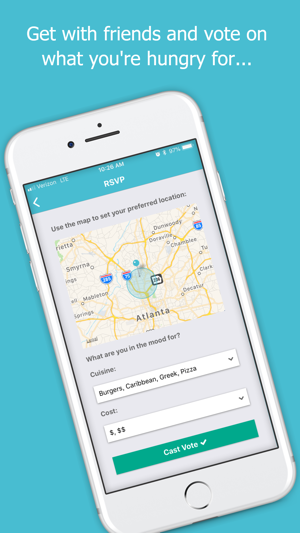 No matter where you are, who you're meeting, or what they're craving, with Weat you'll always know the answer to "Where should we eat?" 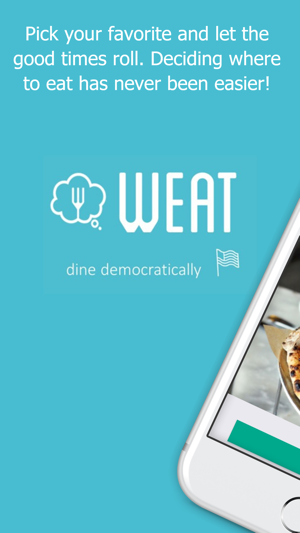 Weat is a free mobile app which radically democratizes, streamlines, and optimizes the entire process of getting you and your friends together for a meal, soup to nuts. 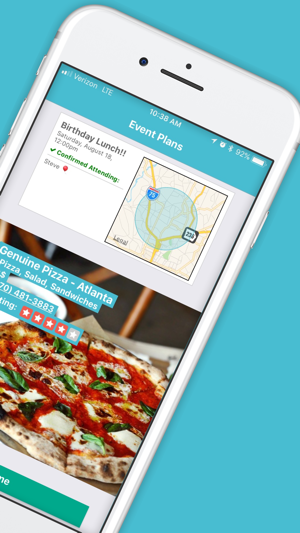 Invite your friends, let everyone punch in their cravings, and allow Weat’s proprietary recommendation engine to guide your group to the best eats. Group text messages aren’t much good for navigating everyone’s different schedules, palates, and budgets. With Weat you can simplify all the indecision so that you and your people can skip to the fun part and let the good times roll! 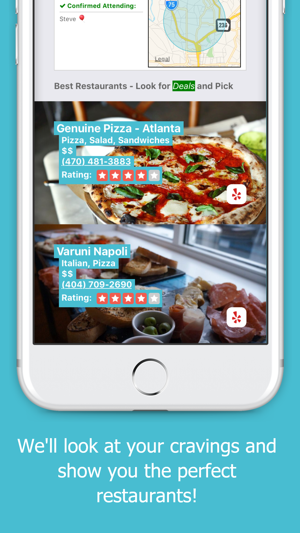 •	Follow your local foodies to build your “hit list” list—explore your city! •	We'll recommend your favorites to your groups more often! •	Reserve a table through the app—no need to call the restaurant if your headcount changes, they’ll already know! •	Already know where to go? Skip the voting and use Weat to organize your people. Works great for people who want to avoid the scenario where no one wants to say where they want to eat, but then get upset when you arrive to a restaurant.